It’s now socially acceptable to have a PSL glued to your hand at all time. Leggings and over-sized sweaters are also acceptable. Apple picking, pumpkin craving and all the baking that comes with those can commence. Chili becomes a staple in my house. I make a two kinds of chili: tomato sauce-based and broth-based. I use ground turkey or beef for my tomato sauce-based chili. 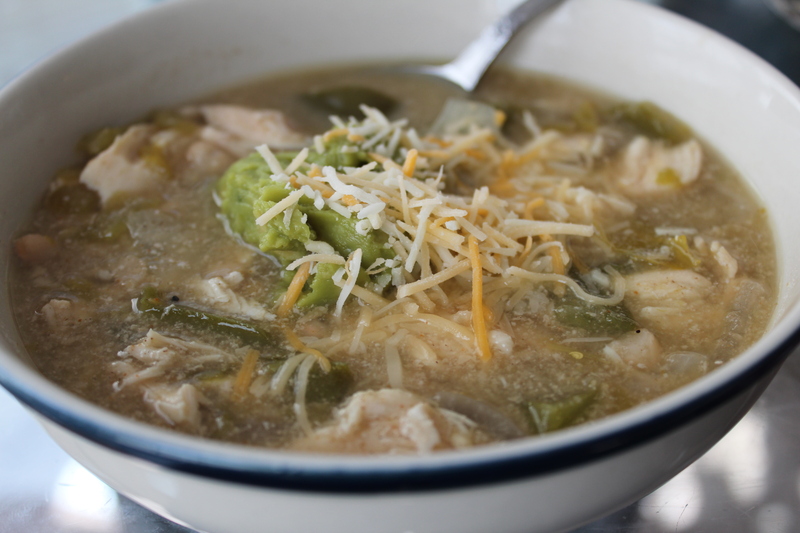 I use chicken breast for my broth chili, which is what white chicken chili is. Both can be diverse in texture and spice. Both can be made in a crockpot or stove top. Stove top cooks faster and is great if you have time. 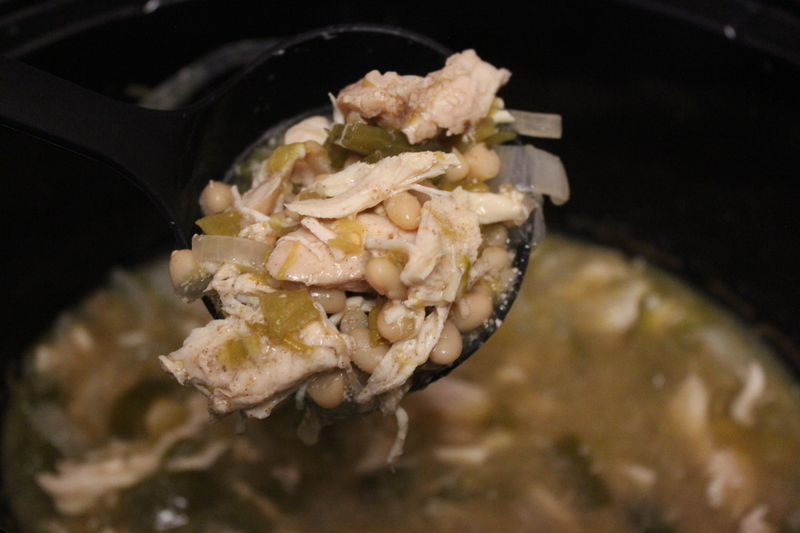 The crockpot is an awesome alternative if you want your meal to cook itself. 1. Slice and chop, bell pepper and onion into chunks. I used a mandilion to slice both and then chopped the into pieces. This helps me minimize onion tears! Add vegetables to crockpot. 2. 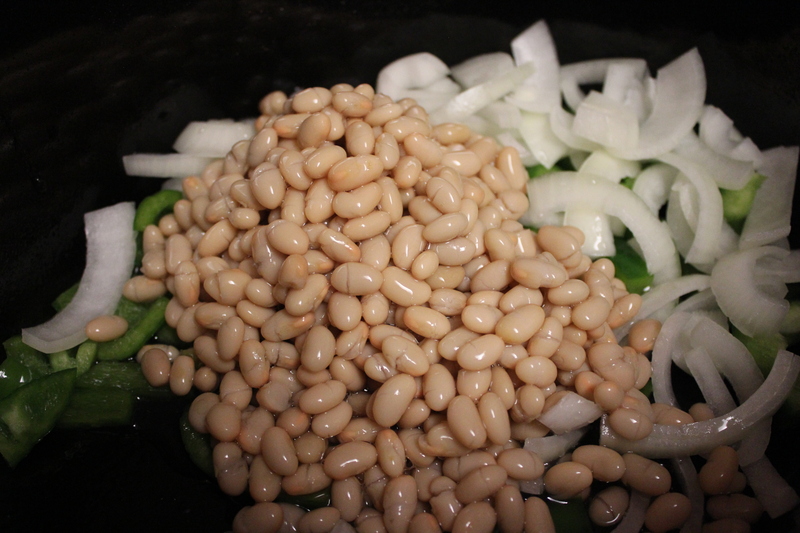 Add a can of navy beans drained, but not rinsed followed by minced garlic, chicken broth and diced green chilis. 3. Add chicken breasts or tenders on top of broth mixture. 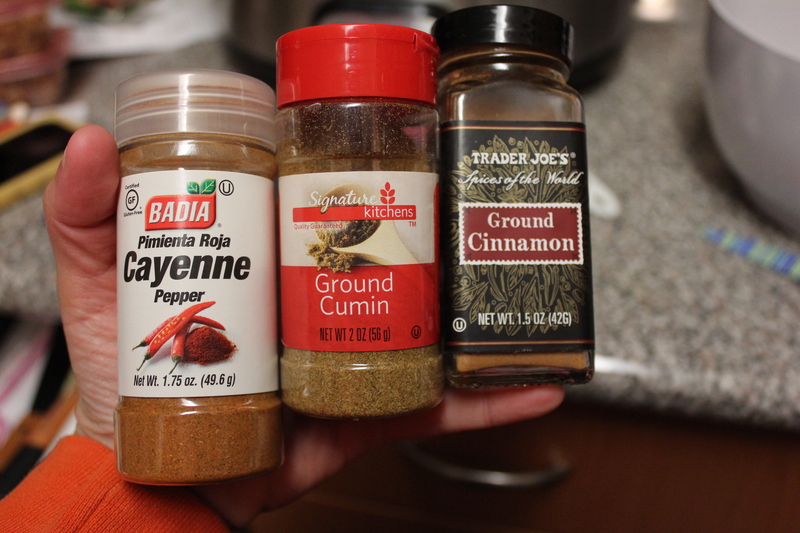 Add 1 teaspoon of each: cayenne, ground cumin, ground cinnamon. Add more or less depending on preference. 4. Cover crockpot and set on high for 4 hours stirring occasionally to ensure that chicken is covered in broth. 5. After 4 hours, chicken should be fully cooked. Using a two forks or a shredding utensil, shred chicken breast into pieces. It should fall apart. 6. 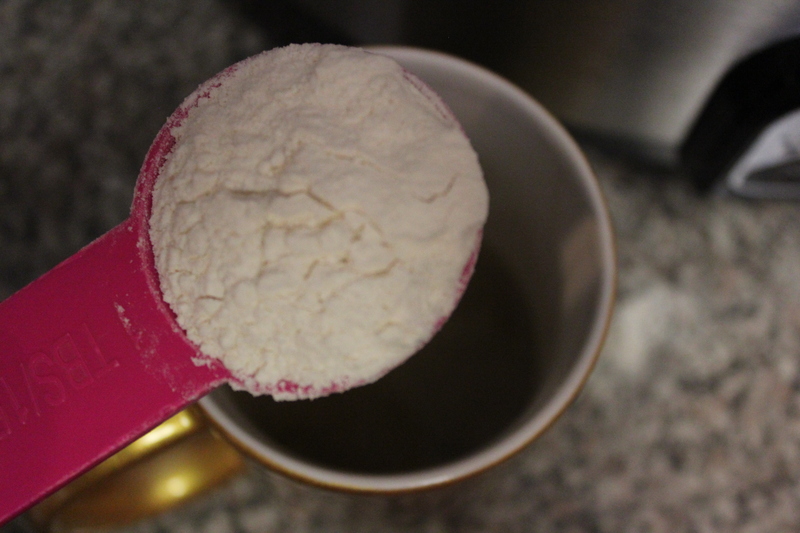 Similar to making gravy, remove about a 1/4 cup of broth and mix with 1 tablespoon of flour. 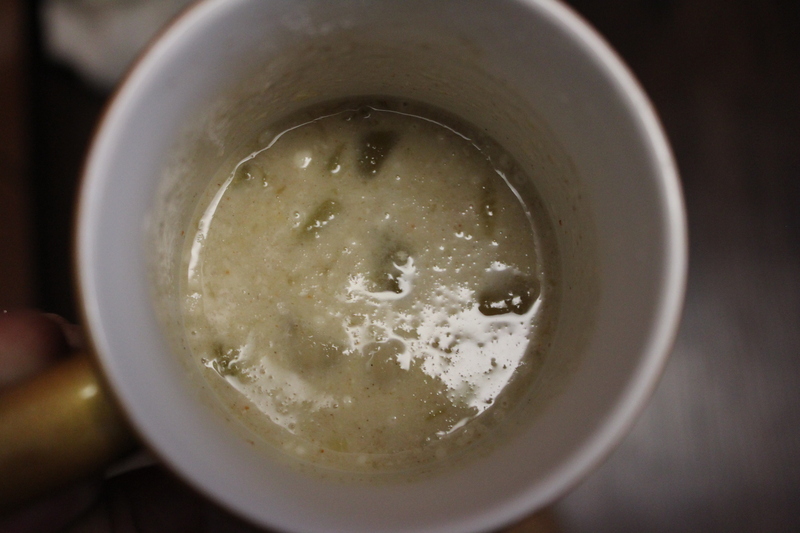 Once mixed thoroughly and all clumps have dissolved, add back to crockpot and stir. 7. Serve with guacamole, cheese and hot sauce. This would have been served with jalapenos and plain Greek yogurt, however, we were fresh out. I clearly need to check out the fridge prior to cooking recipes for the blog.